Although Apple already has a staggering assortment of dongles there is space available for one more. Come Sept 7 the 3.5mm audio jack is expected to be removed from the iPhone 7. This port has been around in larger 1/4″ format for telephone switches since 1878 and the current “mini” form since 1964 when it was incorporated into transistor radios [Wikipedia]. 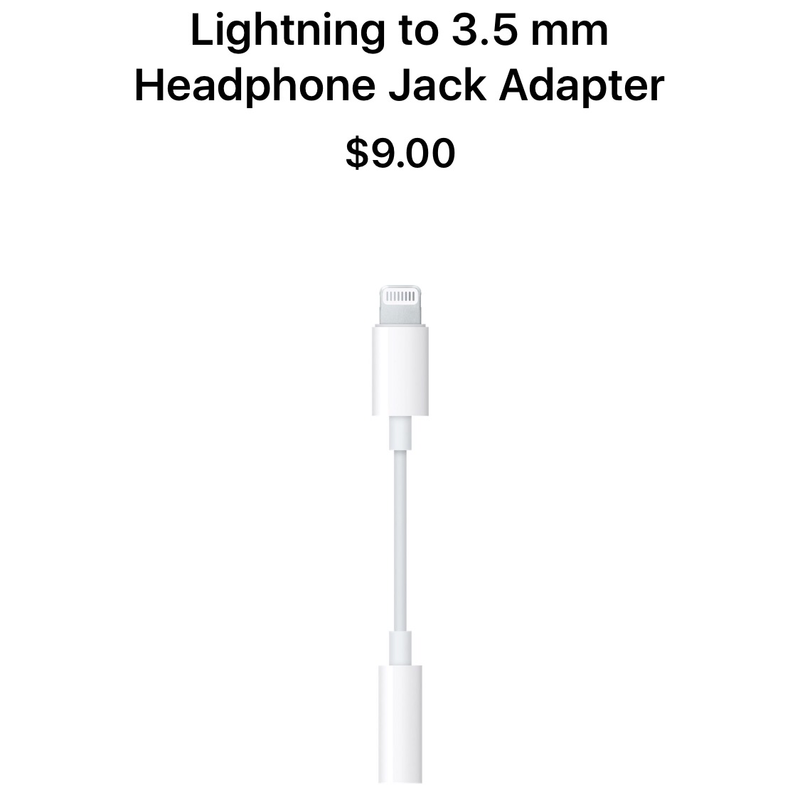 There are tens of millions of existing headphones that will need to connect to the iPhone’s Lightning port. Apple surely has a solution but no such part has yet surfaced. There is great debate whether this type of adapter will be included in the box with a new iPhone 7. I’m expecting any adapter will require a separate purchase (and not closely resemble the above mock up). Earpods with a cabled lightning connector should be in the box with Beats-branded Bluetooth “AirPods” avaiable at a premium price.